Home is a European forest in Spring. 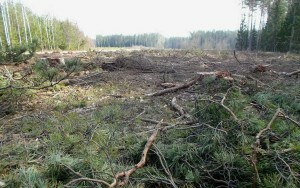 In this case the Bialowieza forest in Poland on 27th may 2002. Maybe the best remaining area of lowland European forest. But it still faces threats. Let’s try to preserve it as a natural forest ecosystem. 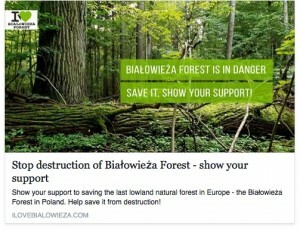 Please excuse not sending the greetings earlier and not attaching colorful bird or painted egg pictures this time but we have here a real problem with a threat to Bialowieza Forest​. There is a plan to fell down crucial stands for Three-toed Woodpecker, Nutcracker, Hazel Grouse, Pygmy and Tengmal’s Owls, etc. My last days (and nights) are packed with different activities trying to stop loosing the essential values of the only remnant of European postglacial forest, once stretching from Atlantic Ocean to Ural Mountains, from Scandinavia to Mediterranean. ​Unfortunately the work doesn’t seem to bring results and for example the bit of wood I have been showing Three-toed Woodpecker in last years is already finished​. At the moment I am just back from the woods and hardly know what to think, do or write. Although it will not stop me I am realistic: if you like to experience this original habitat of Europe again (or for the first time) better be quick because this spring may be your last chance.